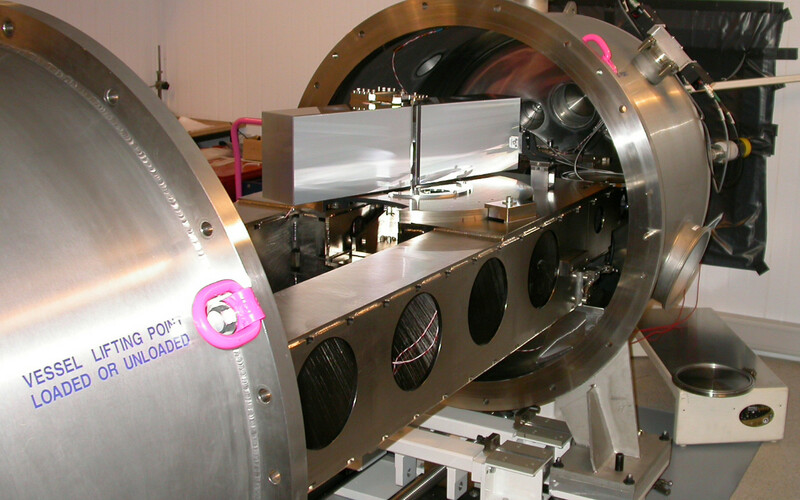 The HARPS spectrograph during laboratory tests. 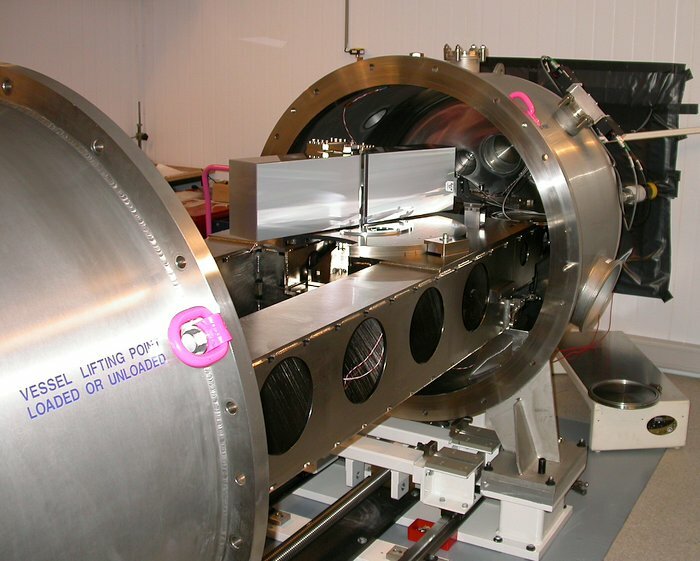 The vacuum tank is open so that some of the high-precision components inside can be seen. The large optical grating by which the incoming stellar light is dispersed is visible on the top of the bench ; it measures 200 x 800 mm.